Storage Wars was civil this past season so why the animosity on Twitter? Think about it. 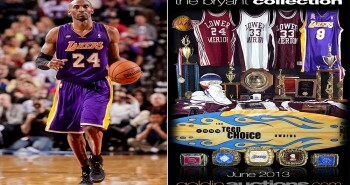 Who loved to stir the pot on the show. 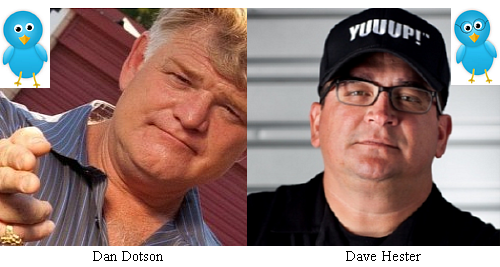 Dave riled Dan Dotson on Twitter after Radar Online leaked that the Dotsons plot to unite all of the cast members of Storage Wars to demand a bigger salary and a piece of the spin-offs money pie; or everyone walks off the show. Not sure how A&E weighs these threats/rumors when Darrell Sheets, Dan & Laura Dotson may be dropped from the show this coming season. Not sure Jarrod Schulz or Brandi Passante would jeopardize their standings with A&E now that Barry Weiss has retired. So why get all fugly on Twitter? That's the first time I've read that Dave Hester may have recorded a phone conversation with Dan Dotson without Dan's knowledge. Dave hasn't tweeted since June. The Twitter War is over, for now. 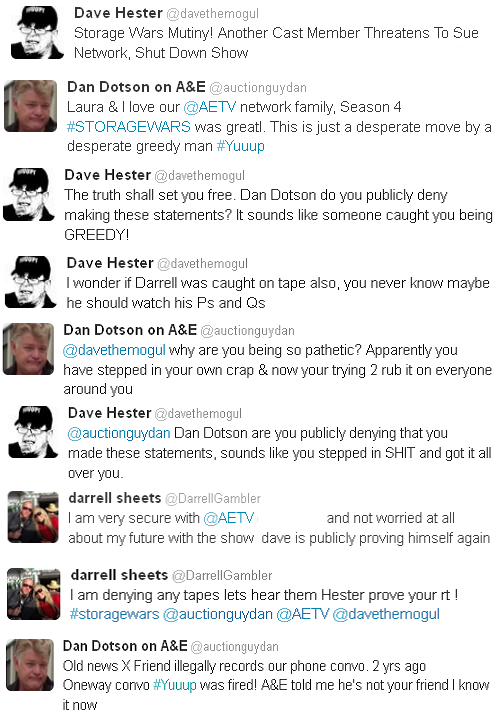 What do you think about this Storage Wars Twitter war? Leave your insightful thoughts and opinions in the comment box below. 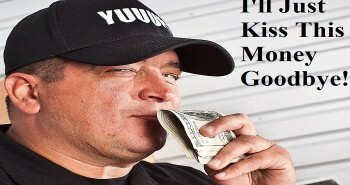 Dave Hester needs to be fired and banned from the show.hes a bully and a massive hater.I get tired of the way he talks to people and treats people.i watched the fight happen and at all angels,Dave Hester caused that fight and knew how to push everyone’s buttons.it seems he was still pissed off from Laura throwing him out of the auction due to his mouth and behavior.im sick and tired of seeing bullies getting away with their behavior but yet when they get called on it and get fired then they cry foul and sue.time to make an example of Dave Hester,fire him,sue him for the fight,and ban him from all reality shows.the best way is to hit him where he lives,his wallet. I really like the show, however, if a show comes on and I see that Dave Hester will be on, I will change the channel. I feel that the show would much better without him. Let him go.